Moller Law Group is a law firm in Woodland Park, Colorado. We represent clients in the areas of family law, estate planning, business law and general litigation. Whether your legal concerns involve resolving a divorce dispute or developing an estate plan, our legal team understands that working through the legal system can be overwhelming. When you retain our firm's services, you'll work extensively with our experienced attorneys and legal staff who will guide you every step of the way. We believe that good communication is key in helping our clients through life's legal challenges. Whatever your legal needs are, we are ready to provide skilled, honest and cost-effective counsel. Our priority in every case is to resolve a client's matter as quickly as possible while at the same time helping to achieve his or her goals. While we have considerable litigation experience and prepare every case for the possibility of a trial, we often settle claims favorably, allowing our clients to move on to the next chapter of their lives. 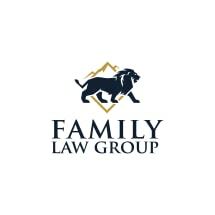 Family law, including divorce, child custody and support, stepparent adoptions and prenuptial and postnuptial agreements. We are also experienced in military divorce matters! Call toll free 866-765-0858 or 719-694-1284 to schedule a confidential consultation with Moller Law Group. Our office is conveniently located just off U.S. 24 across from Walmart. We also have offices in Colorado Springs. At the Moller Law Group, we represent couples, families and individuals in the Colorado Springs, Colorado, area who are just entering into a marriage, those who are looking to end one and those seeking to expand their family through adoption. At the Moller Law Group in Colorado Springs, Colorado, we can help you create a solid estate plan that will guide you through every stage of life. My firm will help you tailor and change your plan as future circumstances may require. At the Moller Law Group in Colorado Springs, Colorado, we represent personal representatives and people challenging an estate in probate and estate litigation. At the Moller Law Group in Colorado Springs, Colorado, we can help ensure that the business entity you create will meet your specific business needs, protect you from personal liability and minimize taxes to the fullest extent.